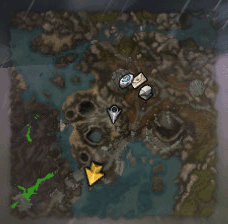 rMinimap allows you to scale the minimap frame and adds the ability to drag the frame ingame. Not with this addon. There is no border. The zig-zag is part of the minimap mask texture. Is there a simple way to add a class colored border? !Beautycase addon perhaps? Though I never got it to work. Hi Zork. The old version of rMinimap was a clock with a rotating background. The 7.0 version seems to just be a square? Any reason why you changed the unique skin to a default square? The recording button was for Macintosh. Seems like they removed it. Last edited by gmarco : 03-29-17 at 09:05 AM. Good morning, thnx for ur efforts and gratz for the addon. Not worth it since the addon is so small. You could easily just copy the whole addon and turn it upside down if you want. Hey Zork, is it possible to configure your rMinimap addon by doing a separe code like we can for rActionBar, rButtonTemplate, etc, without touching the main addon? Last edited by Heybarbaruiva : 11-20-16 at 05:41 AM. Last edited by zork : 10-12-16 at 07:23 AM. Hey! I've been trying to figure out how to show the garrison/order hall button.